The Court of Appeal has re-examined the standard of proof required when assessing a jurisdictional challenge and has given guidance as to how the relevant legal test should be applied. 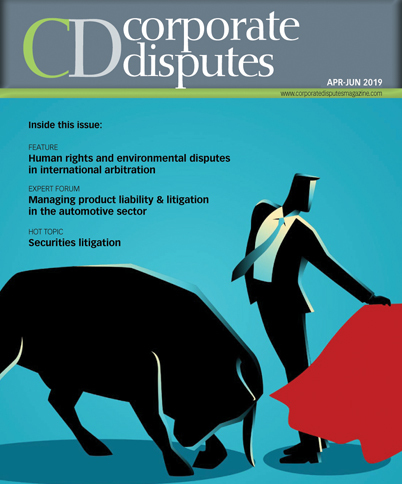 With Brexit on the horizon and an increase in jurisdiction disputes anticipated, the case of Kaefer Aislamientos SA de CV v. AMS Drilling Mexica SA de CV and Ors will be of interest to commercial contract drafters and all those involved in cross-border dispute resolution. What are the practical conclusions? If, as is anticipated, Brexit prompts a rise in jurisdictional challenges, it will be important for businesses to understand the standard that they will have to meet in order to be able to proceed with litigation in the courts of England and Wales. While the ‘flexibility’ of Limb three of the Goldman Sachs/Kaefer test may prove fertile ground for some future litigation in this area, the correct approach to resolving jurisdictional challenges is now significantly clearer for businesses involved in cross-border disputes. As an aside, the Court of Appeal also noted that it found complexity of legal debate in such cases, and voluminous and tactical disclosure demands, to be regrettable. For all practical purposes, therefore, if a claimant can establish, with some evidence, that broadly speaking it has the better argument that a jurisdictional gateway exists, then the chances are that its case will be able to proceed.